Begin this unforgettable cruise by boarding the Star of Honolulu at the Aloha Towers Marketplace. 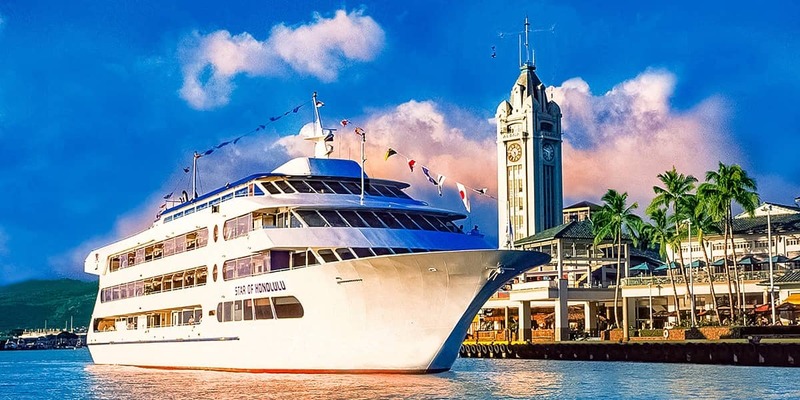 The Star of Honolulu will carry you beyond Diamond Head as you journey along the gorgeous Kohala coast on the best sunset cruise in Hawaii. 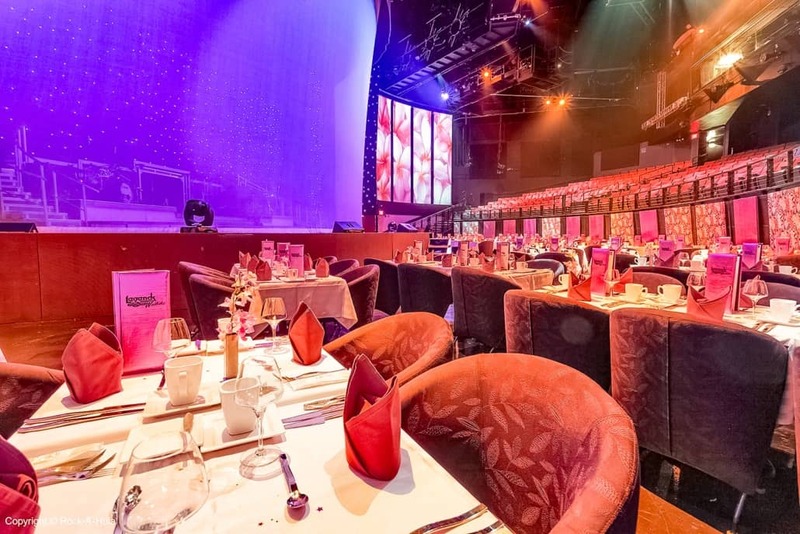 Check out the views on the Star’s 60′ impressive observation deck, or just enjoy the award-winning live entertainment as you get ready for your dining experience. Round-trip transportation to the Marketplace is available if you want worry-free door-to-door service for an additional fee. Your dinner menu is listed below. Homemade Mashed Potatoes and Sauted Fresh Vegetables, and Hawaii’s Favorite Macadamia Nut Ice Cream. Whole Loaf of Freshly Baked Poi Bread with Butter accompany dinner. Freshly Brewed STAR”s Original Coffee and Tea are also served. Beverage: One Star Signature Mai Tai is served. Additional premium beverages and the STAR’s special selection of vintage wine and champagne by the bottle available for purchase. 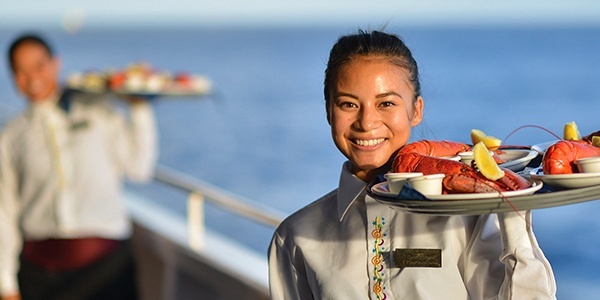 When only the best will do, 5-Star Dinner Cruise provides the ultimate luxurious adventure aboard the sumptuous Star of Honolulu 1500-passenger cruise liner. This evening excursion into the beautiful Honolulu sunset makes the ideal romantic getaway or even a lavish family retreat. 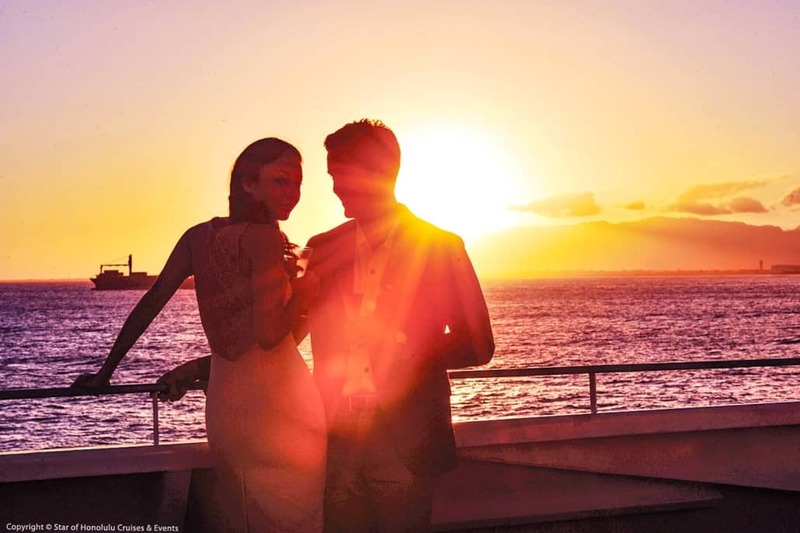 As the sun sets on the shimmering turquoise waters of the Honolulu Bay, you’ll be led to a private table in the exclusive Art Deco Super Nova Room, the Star’s most premiere dining area. Look out upon the entire bay as you enjoy the seven-course French cuisine featuring seasonally inspired delicacies. 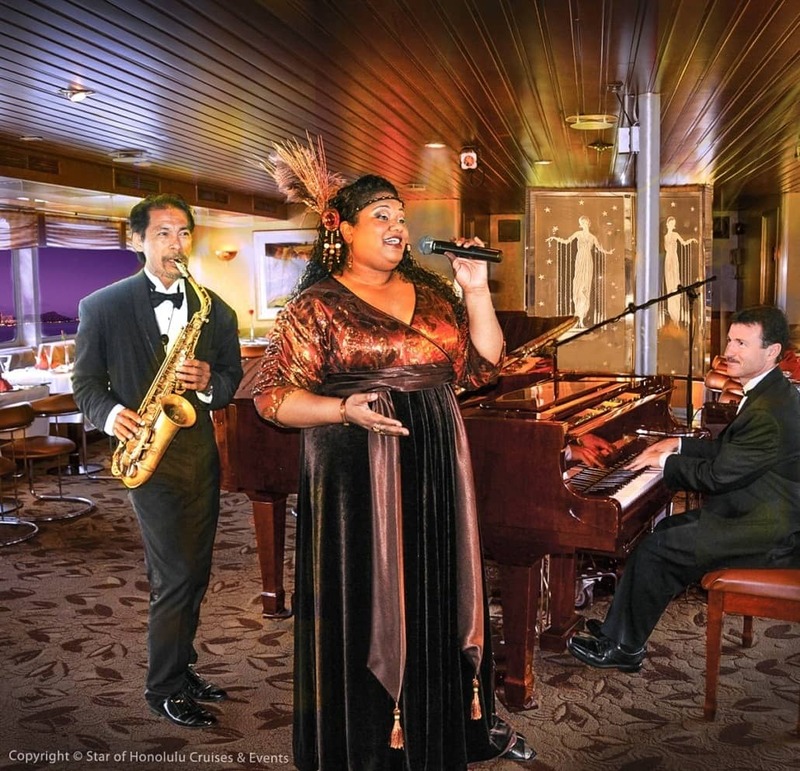 During your meal, you’ll delight to the sounds of a live jazz band, top Hawaiian vocal talent, and other revolving live entertainment selections. Four super-premium cocktails or beverages are included. You may also choose door-to-door limo service to and from the cruise liner. 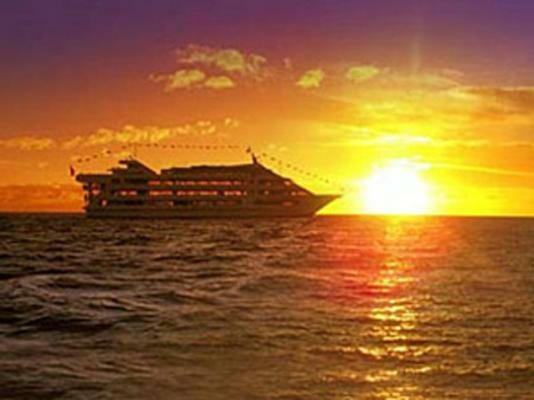 This deluxe cruise is specially designed to provide you with luxurious three-star food, beverages, and entertainment. 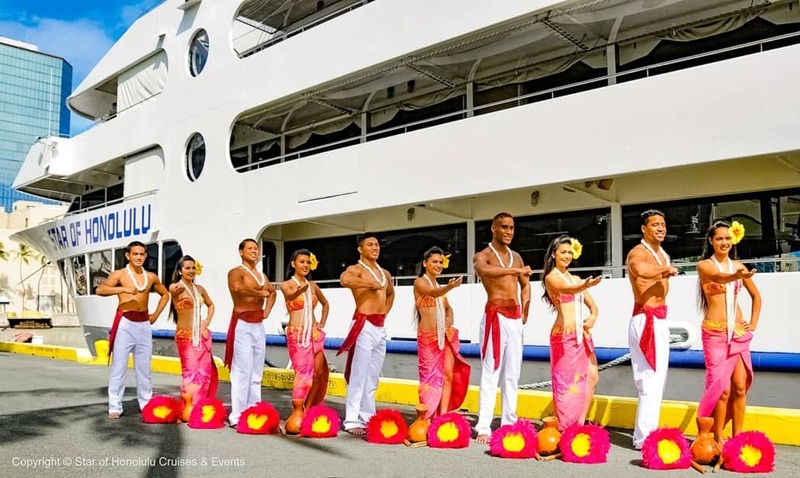 The Star of Honolulu is a well-equipped 1500-passenger vessel, famous for its wide open wrap-around decks and panoramic windows, that sets sail from the Honolulu Bay. 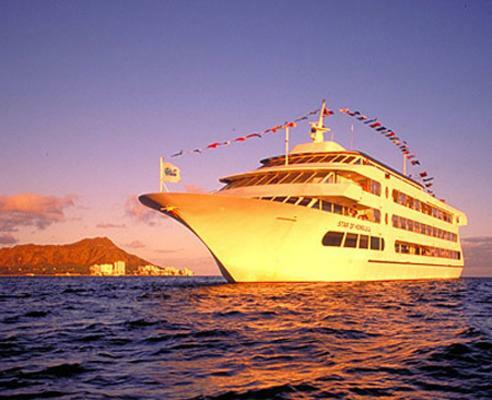 Begin this unforgettable cruise by boarding the Star of Honolulu at the Aloha Towers Marketplace. Round-trip transportation to the Marketplace is available if you want worry-free door-to-door service for an additional fee. The Star sets sail from the historic pier area with a complimentary champagne toast. In fact, two complimentary premium beverages are included in the price of your cruise. 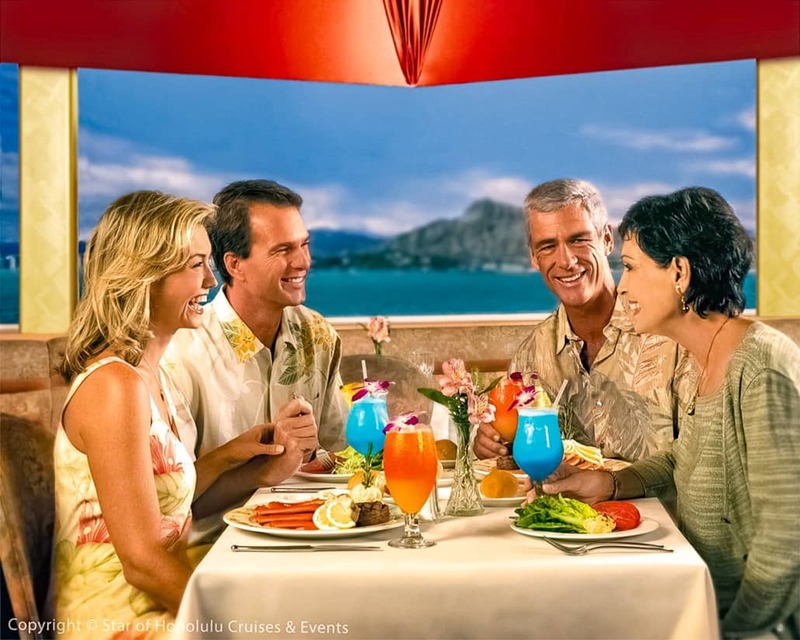 As you watch the sun set over the sparkling waters of the Honolulu Bay, you’ll enjoy an array of appetizer selections, including imported cheeses, fresh fruits, and rich shitake pate, not to be missed. Enjoy casual elegance with crab and sirloin steak dinner plus new “My Hawaii – Beyond the Reef” show! 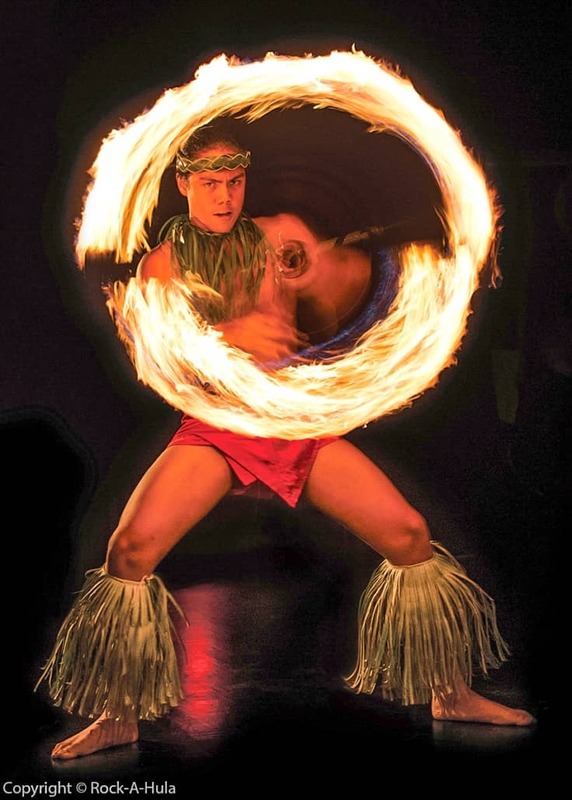 After a welcome Mai Tai, explorer four panoramic decks for breathtaking views of the Hawaiian sunset and coastline, and complete your evening with our magical “My Hawaii” show and dancing! 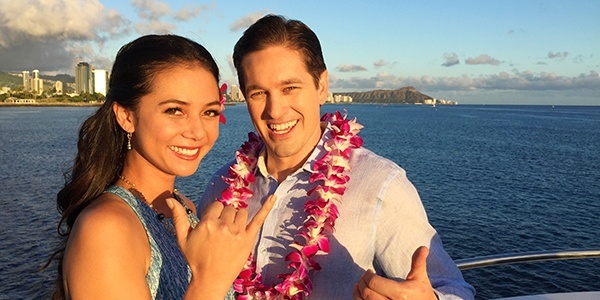 All aboard Hawaii’s largest, award-winning Star of Honolulu! Our new show debuting mid-2013 is “My Hawaii-Beyond the Reef.” At the cost of $250,000 and featuring the largest cast on island waters, the production will truly be a new level of entertainment. 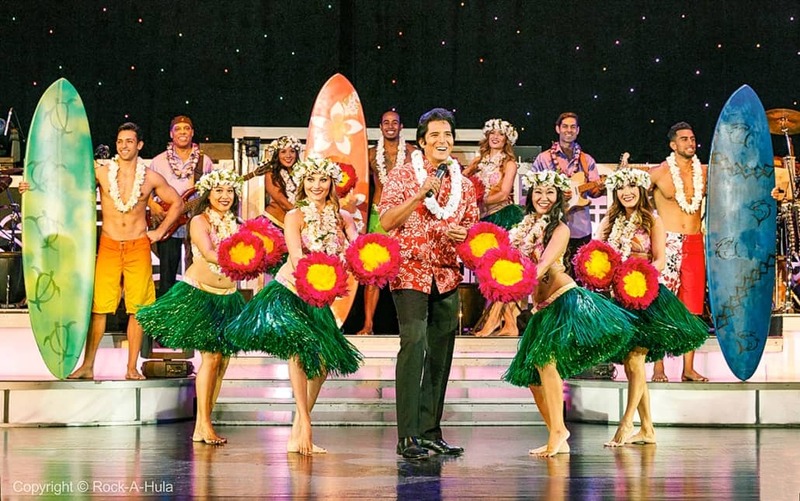 Plus, a variety of live entertainment, like no other, starting with the STAR’s pier-side welcome hula. 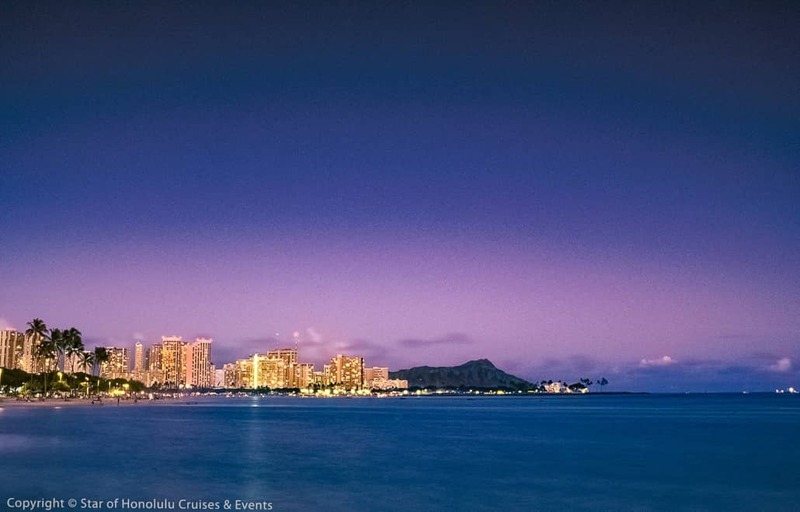 During dinner, enjoy live Hawaiian music as we cruise along the Waikiki coastline. Fun audience participation and dancing commences until disembarkation. Where is the Star of Honolulu located? 15 minutes from Waikiki, at the Pier 8, Aloha Tower Marketplace, 1 Aloha Tower Drive, Honolulu Hawaii, 96813. What days does Star of Honolulu operate? Seven days a week, all year. For the Five Star Sunset Dining & Jazz cruise, no shorts, t-shirts or slippers/flip-flops, please. Out of respect for other guests, we do take the dress code seriously. 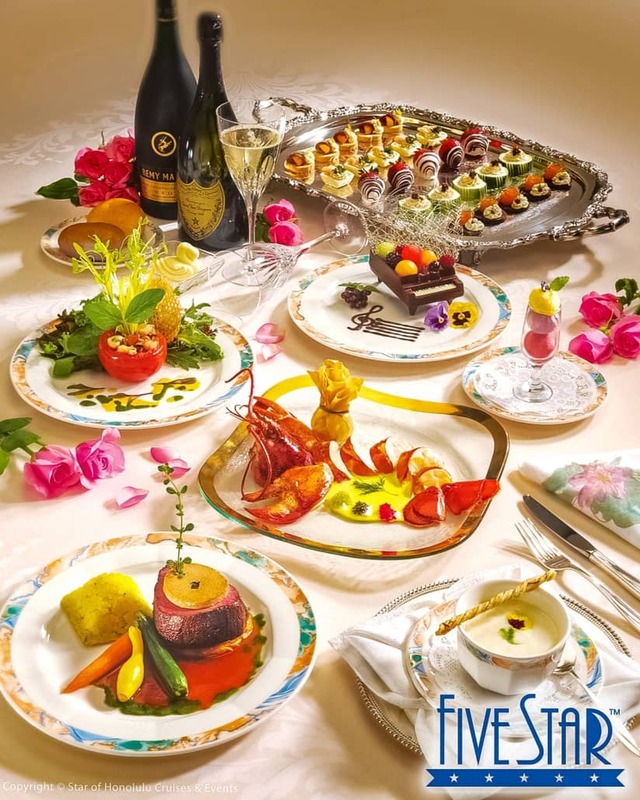 For Three Star, Star and Pacific Star dinner cruises, we recommend resort-casual attire with long pants. For daytime cruises, casual attire and shorts are okay.